As you may know, this weekend we published the most significant update to Reverse Lookup ever. 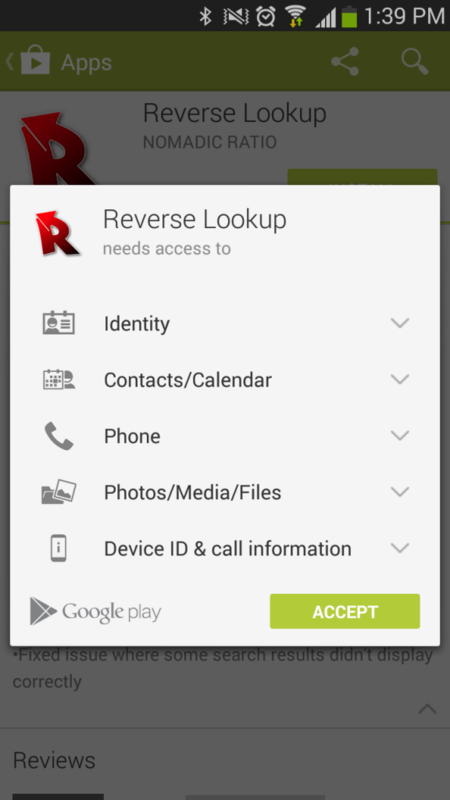 Unfortunately, it seems there has been some confusion about the permissions that the app requests, and Android permissions in general. 1. Permission requests are not generated automatically. Whenever we see or hear a discussion about Android permissions, it seems there are always people who assume that the permissions list presented during install is generated based on what the app tries to do. This is actually false. The permissions that you are asked to approve during install are specifically requested by the developer. If the developer fails to request a needed permission, the app will simply crash when that code attempts to run. With that being said, it’s generally bad practice for a developer to request unneeded permissions, but they can if they want. In some cases it’s difficult to avoid – some apps are written using third party frameworks that simply request everything(or at least more than what is needed). In this case, the developer may not be able to reduce the list to just what’s needed. 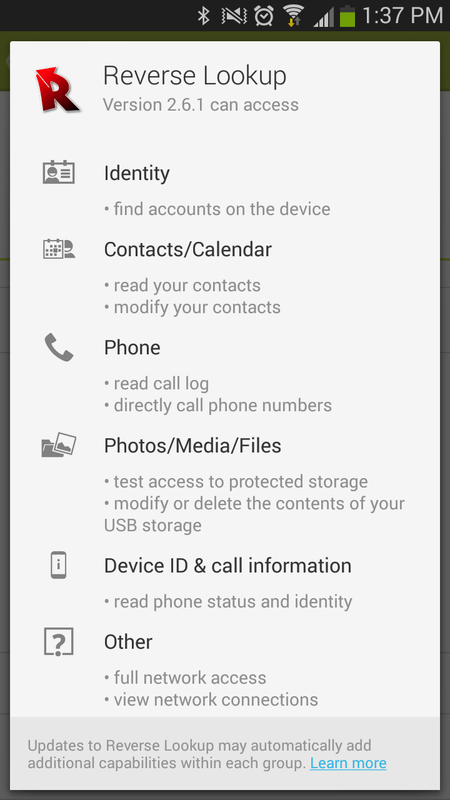 When you install an Android app in the latest versions of the Play Store, you are shown a summarized list of permission groups. In the image below, it looks like we want access to your whole phone, and that’s understandably creepy. Calendar access? Photos? What? But if you expand each section(image below), you can see the actual permissions we are asking for, and things start to make much more sense. You should do this for any app you install rather than just assuming it’s asking for complete access to each group. Read Call Log – used to generate the call list on the main screen – this permission wasn’t necessary in the past, but the method we used to query the call log has long been deprecated and has begun causing problems on some newer devices. Vibration – vibration functions were tested in some early test versions but never in a production release. Permission was left in until recently. We know permissions are a scary issue for many users, and we always want to be as transparent as possible about the ones we use. We hope that this explanation has shined some light on how permissions work and specifically how and why we are using them. If you have any further questions, as always, feel free to shoot us an email.